The food you eat before exercise can boost performance, protect muscle mass, and even speed up recovery. If you’ve been following our series you should know how to do all of these things with pre-workout nutrition. Let’s review the main points to make sure you always make the right choice. If your goal is weight loss then it’s better to have a good meal full of slow carbs, quality protein, and healthy fats about 2-3 hours before a workout and avoid quick sugar. Sugar will spike insulin which prevents fat burning. Having some fast sugars before races and high intensity workouts may help with performance, but for everything else it’s counterproductive. If you want to fuel about 60-90 minutes before a workout, then you should focus on easily digestible protein and slow carbs such as eggs with porridge for example. Avoid any foods that contain a lot of fat and fibre. Even though a salad with veggies and olive oil is healthy, it will slow down digestion and won’t so you any good before exercising. Whenever you decide to fuel, you have to think about the three T’s of sports nutrition. Total means that you have to eat an amount of food that’s appropriate to the length and intensity of your workout. Type means you have to choose foods with the right macronutrients. And timing tells you when to eat. As you know from previous articles, your food choices will be very different 3 hours and 60 minutes before an exercise. You should have no problems deciding what to eat pre-workout now. You can even go back to the first article and take the QUIZ again to see how much you improved! Next time we will continue with competition day nutrition or how to fuel during exercise. 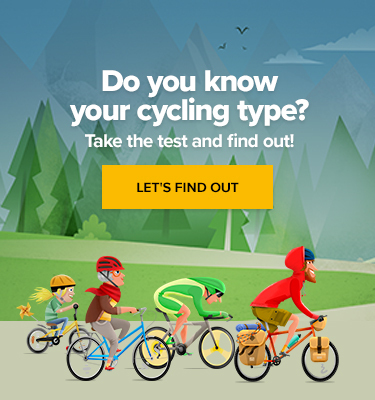 5 Easy Steps: How to Find a Mate for MTB Rides?